Home of the Wright brothers and long known as the Birthplace of Aviation, the Dayton, OH region is now recognized as the National Aviation Heritage Area (NAHA) in honor of the region’s leadership in our nation’s aviation history. Highlighted at their excellent and informative website at www.aviationheritagearea.org, there is a lot of great information about our abundant local aviation heritage – in fact, upon visiting NAHA, you can grasp the significance of the region and come away with a new appreciation of one of America’s greatest stories. Today, it continues that heritage as one of the most significant regions in the world for aviation advancement. If you’re interested in watching the trains passing through Tipp, we can recommend a nice empty lot on Sixth Street behind the S&G Painting Building. There used to be an old building here but it was torn down recently and now there is an unobstructed view for at least a hundred feet in each direction up and down the tracks. Some of these locations are private property, so please ask permission before visiting. 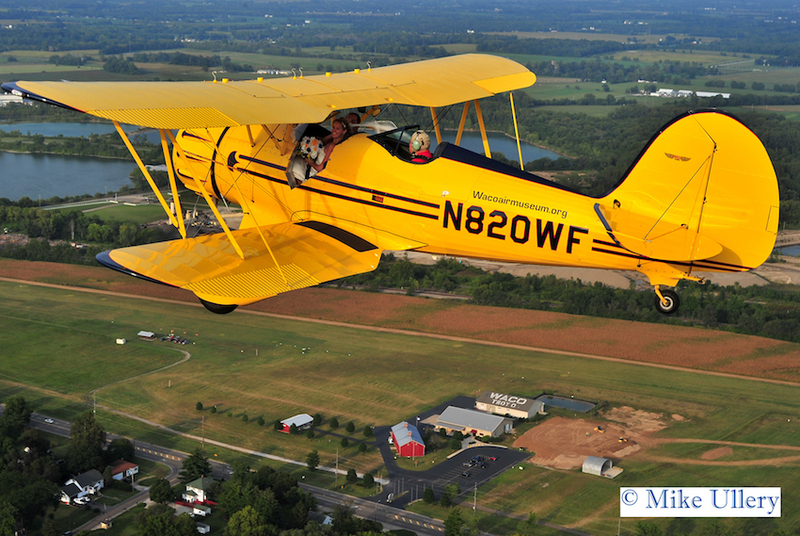 Whether the sky was filled with the drone of biplanes or the silent shadow of gliders, this aircraft company figured largely in the history of Troy as it made history in the world. And now the museum, once located in downtown Troy, has been moved to the historic Airfield, expanding and modernizing in the process. Find out who, how and what was involved, and see where the WACO planes return to their birthplace in a colorful display of historic flying machines every August. WACO field serves as their landing site on its grass flying field. Also located at the field is a reproduction of a vintage barn hanger and an antique aircraft restoration facility that will transport you back to the days of the biplane. For more information on the Weaver Aircraft Corporation of Ohio, see the Wikipedia entry. 20 miles from Tipp City at 1100 Spaatz Street, Wright-Patterson AFB, OH, 45433. Get a sweeping view of Air Force and military aviation progress at the National Museum of the United States Air Force, the largest and oldest museum of its kind in the world. You’ll discover more than 300 aircraft and aerospace vehicles on display, many rare and one-of-a-kind. In addition, you’ll find thousands of historical aviation artifacts, along with powerful sensory exhibits that bring military aviation history to life.